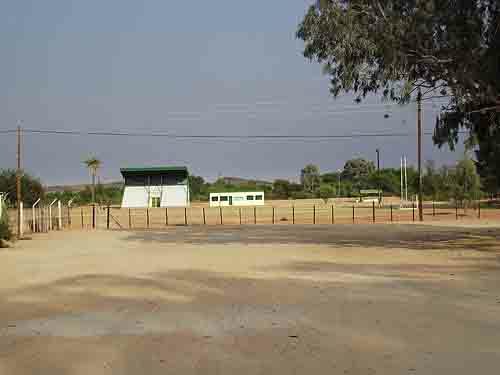 The town of Kenhardt is situated about 75 kilometres from Keimoes in the middle of nowhere. It is made up of a couple of sandy streets and one very wide main road lined by a couple of shops and a large Dutch reformed Church and not much else. 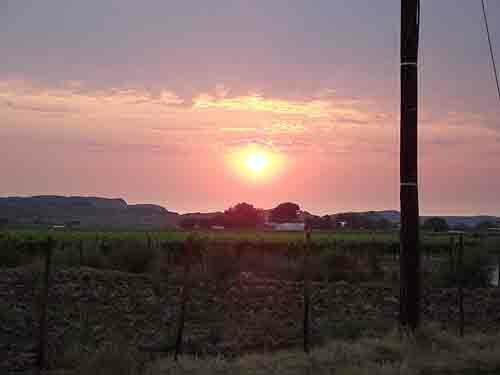 To reach the town from the north one has to drive through the islands of the Orange River near Keimoes before you get onto a dead straight road that goes southwards into a landscape that looks the same for hundreds of kilometres. 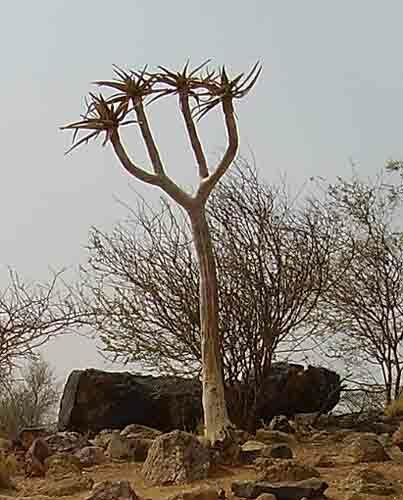 There is low scrub and red sandy soil and every now and again a small koppie (hill) with a few Quiver trees( Kokerbome) spread around on their slopes. The road other than being dead straight also has very little traffic. On the way to Kenhardt from Keimoes we passed about three cars going in the opposite direction all of them doing in excess of a 120 kilometres per hour. It's no wonder that there was so much roadkill lying on the roads with the speeds the cars were doing. Any small animal caught in the headlights of a speeding car at night would have no chance of escape. The crows however were enjoying the free meals provided. 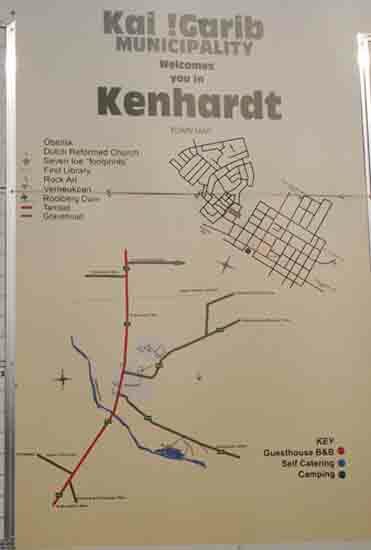 So how did it happen that the town of Kenhardt was established in the middle of nowhere? 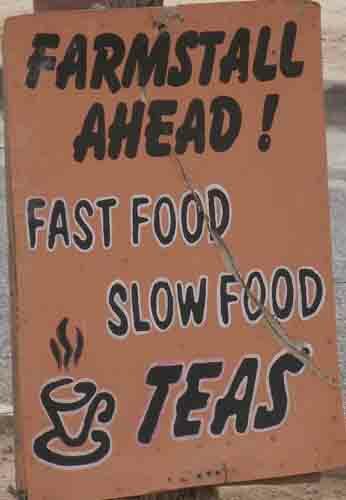 Kenhardt has a slightly different history to many of the other smaller towns in South Africa. Normally a town would grow up around a Dutch Reformed Church but in Kenhardt this is not the case. According to the historians Kenhardt was established under a camelthorn tree which is still alive today and said to be between 500 and 600 years old. It was under this camelthorn tree that on the 27 December 1868, Mr M Jackson at the request of Louis Anthing the Magistrate of Namaqualand arrived and set up camp. Louis Anthing had visited the area in 1863 and also used the tree as his headquarters so when Jackson found the buildings built up by Anthing he moved in and used them as his headquarters as well. 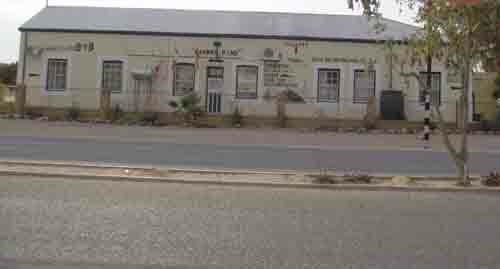 From a small beginning the town of Kenhardt gradually grew up around the thorn tree headquarters established by Jackson. The 27th December 1868 is now remembered as the official date on which the town was founded. No one knows for sure where the name Kenhardt came from but it appears that Louis Anthing had a hand in the naming of the town. The reason for the visit of Jackson and his 50 mounted policemen to the area was that white farmers who had trekked northwards from the Cape wih their sheep and other livestock were being harassed by the Korana and it was Jackson's duty to solve the problem. The Korana were a large tribe of what were originally known as Bushmen or Hottentot These days they are known as the San. The main reason for the trouble was that the white farmers were taking over the lands used by the Korana and the Korana were losing their access to the scarce water supplies as well as grazing lands. The war with the Korana took its toll on the mounted police with half their force being lost. The main reason for their woes being that they suffered utter privation as water was scarce and there was no grazing for the horses, which soon started dying of starvation. Their discipline was also not of the best. The war with the Korana eventually died a slow death. The unfortunate part is that the Korana did not survive the onslaught of the white farmers over the years and eventually became extinct. 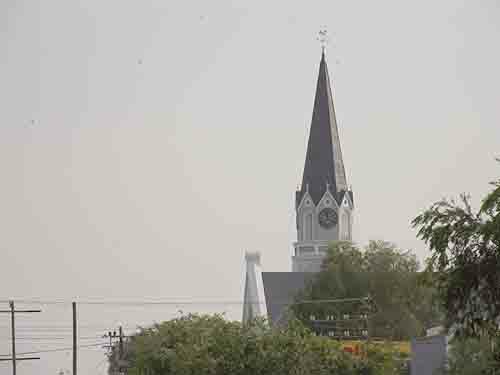 The town of Kenhardt however started to grow and in 1889 a Dutch Reformed Church was established in the town. As it was the churches' duty to bury the dead it had a problem keeping bodies awaiting burial as there were no proper storage facilities for them. In 1965 the problem was solved when the church established a morgue with cold storage facilities. Once completed it was handed over to the local Municipality to run. On the morning we arrived in town at about 7.00 am there was not much going on. Most people were still in bed and most shops were still closed. To be honest the town was like a morgue and we had the run of the main road for a couple of minutes before we left. I suppose had we driven through a bit later on in the morning we would have found a bit of life in the town. Kenhardt however has a couple of things going for it. Having been established in a region where the Bushmen once lived you will find thousands of Bushmen paintings in the hills and valleys surrounding the town. Another attraction which might be easier to find is the Quiver tree forest a few kilometres south of the town. It is said that there are between four and five thousand Kokerboom trees in the forest. It must be quite a sight to see so many of them together as in the region you normally only find one or two of them growing in close proximity to each other, normally on the side of a mountain slope. The Verneukpan close by hosted Sir Malcolm Campbell when he came to the pan in 1929 to try and break the world land speed record in his Bluebird. How he found out about the Verneukpan or the town is a mystery to me especially with Kenhardt being so far off the beaten track and in those days only accessible along gravel roads. Today all and sundry try to break the world land speed record on the roads leading away from the town. 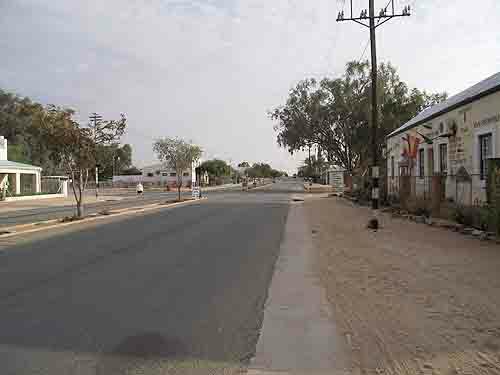 Jokes aside the main reason for the existence of the town today is the Dorper sheep industry which is centralised around this dry and arid town. For those who seek silence and time away from everybody and everything a visit to the Northern Cape is a must. It is a once in a lifetime experience and you will discover a lifestyle you never knew existed.